If you were into gaming in the 90s, chances are you’d have played Mario Kart at one time or another. It was a seriously addictive game all-round; whether it was playing as your favourite character (Yoshi was mine), or throwing bananas and shells to propel yourself to first place – it was an immensely fun game that provided hours of entertainment, quickly becoming an iconic game that defined an era. One thing that fans could never have the chance of doing, but probably dreamt of, was playing Mario Kart in real life, but that looks like it’s about to change, as a Mario Kart attraction could be coming to a potential Super Nintendo World Theme Park. The Japanese gaming company recently patented and submitted an application for “Super Nintendo World” to USPTO (United States Patent and Trademark Office), which would not only be attached to the Universal Studios in Osaka, Japan, but the Universal theme parks in Hollywood and Orlando too. The trademark covers, “amusement park shows and special events at an amusement park”, but more interestingly includes the “organisation, management, or arrangement of kart racing”, which can surely only mean one thing – a real life Mario Kart attraction! Other services, like “rental of toys” and “rental of masquerade costumers” are also listed, as well as plans for arcades, musical performances and games consoles on site. They’ve also released some concept artwork of what a potential park would look like, showing people walking around a Super-Mario inspired world, complete with Mario-esque pipes, mushroom houses in the style of Toad and even Princess Peach’s castle. Visitors will be able to “fully immerse themselves and all five senses in the worlds of Nintendo”. The Japanese theme park is expected to be ready by 2020 in time for the Tokyo Olympics, but at the moment it’s not known when the American ones will be finished. 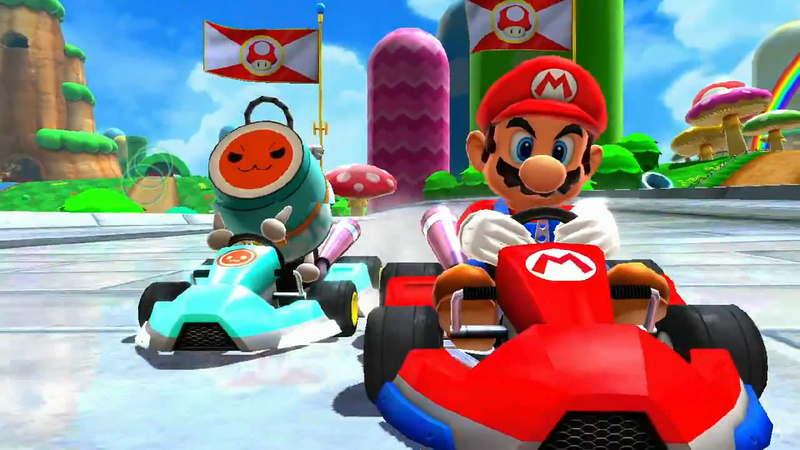 We’ll have to wait and see what a Mario Kart-style attraction will look like, although Hugh Jackman recently shared a video to his Twitter page showing some people driving around Tokyo in Mario Kart costumes and vehicles, so maybe it’ll be something like that. Would you want to visit the attraction? Let us know in the comments below!